Update: And earlier version of this post stated that the Chicago contest would be held on July 18. It has been moved to July 17. 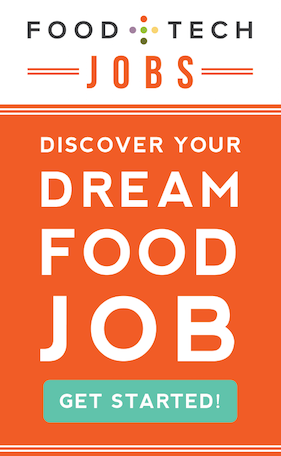 I am thrilled to share a new and innovative opportunity for food and beverage entrepreneurs to attract investors, raise capital and increase awareness. 33entrepreneurs has launched an ambitious food startup accelerator tour, taking place this summer across 9 U.S. and Canadian cities. Focusing on leading innovation hubs across the US (full list/schedule below), we aim to detect, unveil and attract the most promising startups in food, wine, beverage, hospitality and travel. 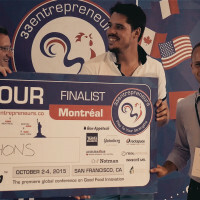 The winning startups in each city will get to display for free at the Bon Appétech Conference Startup Expo happening in San Francisco from October 2-4 and will also have the opportunity to pitch onstage at the Grand Finale on October 4. The two winners from the Grand Finale will be invited to join our 2016 accelerator class in Bordeaux, France and receive $100,000 in investment. The startup tour will kick-off on July 8 in NYC, continue on to Boston, Chicago, Austin, Boulder, Los Angeles and other cities and end in San Francisco. In every city, startups who have applied will be given 5 minutes to present their products and platforms to a jury and receive critical feedback from panel members. Each stop on the tour will last an entire day and will provide local food startups the opportunity to demo and network with each other. We’re incredibly excited about partnering with Bon Appétech on this project. Our aim is to highlight the innovative work of leading startups, foster their traction and accelerate their growth. And as the premiere global conference on good food innovation, Bon Appétech is an ideal venue for startups. 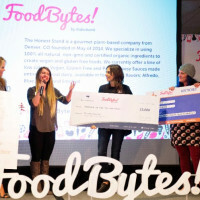 It will attract food entrepreneurs, investors, producers, designers, global brands and partners and will explore novel ideas and showcase innovation from across the food ecosystem. 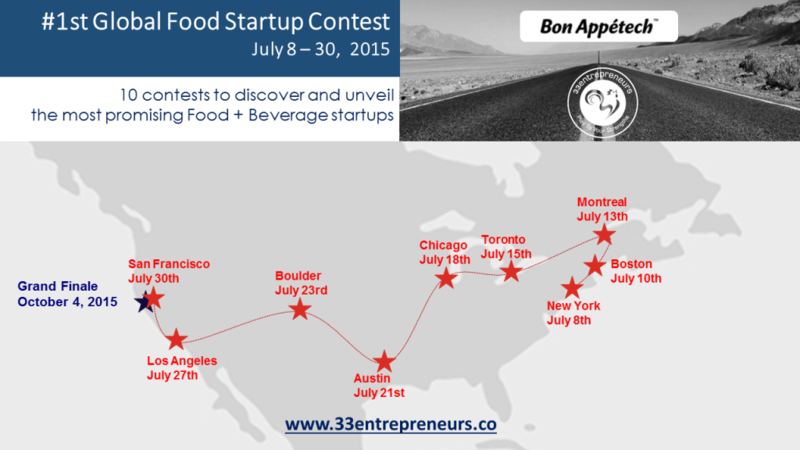 100 innovative food startups will demo their products at BonAppétech’s Startup Expo. We will be sharing updates from our startup tour on Food+Tech Connect, including our insights on key projects. We also plan to include feedback from jury members including Greg Lambrecht, Robin Metcalfe, Lauren Abda and Ismo Rantala. So stay tuned! Learn more about how 33entrepreneurs works, check out the tour schedule, and hear why we believe the U.S. is ripe for food startup innovation below. Startups interested in applying to the 33entrepreneurs startup tour can learn more here, and those interested in attending Bon Appétech can learn more and purchase tickets here. Based in Bordeaux, France, 33entrepreneurs is a leading global accelerator and startup investment fund dedicated to the food, wine and travel industries. Having hosted over 25 pitch competitions across Europe, in locales as diverse as Munich, Milan, Lisbon and Barcelona, 33entrepreneurs provides promising startups with state of the art 3-month acceleration programs supported by a far-reaching network of mentors and investors. At the end of the program they can pitch our investment committee and be granted seed funding to develop their project. Today, we have a 2M€ fund and are opening a new 20M€ fund before the end of the year, making us the largest food and beverage accelerator. We have strong ambition for our projects and are proud to have been named as best European startup accelerator in our vertical. Why We Are Expanding to the U.S.
We have analyzed a unique panel of 2,300 worldwide food startups and uncovered that 62 percent of them are based in North America. After meeting with the team behind Bon Appétech, we proposed that we co-organize the first ever global food and beverage startup contest. Ant it it was a go. Our team will step onto a bus on July 8 and tour all around the U.S. and Canada to discover the most amazing teams and projects. Then we’ll offer the best of them an acceleration program and access to the most passionate food experts in our 400sqm facility in Bordeaux, France. What is happening these days all across the U.S is a major shift in the definition of what food is. It’s no longer fuel, but health, tastes, chosen ingredients, culture and more. In fact, it is now much more like what we know as food in our “old” world. This change is not only creating a major shift in the U.S. food industry but also a unique moment of opportunity for entrepreneurs. 33entrepreneurs wants to be a part of this story. We want to bring our passion and our knowhow of centuries of “good food”, as well as the capital to help food innovators get off the ground. Kevin Camphuis is a partner at 33entrepreneurs. He has spent 20 years working for the world wide leader for SDA (small domestic appliances), in charge of digital transformation for the 5 past years. 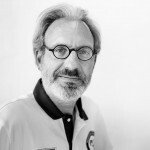 Amongst numerous open innovation projects, he has initiated the first range of cooking connected appliances and the largest French collaborative research project on food : OpenFoodSystem. 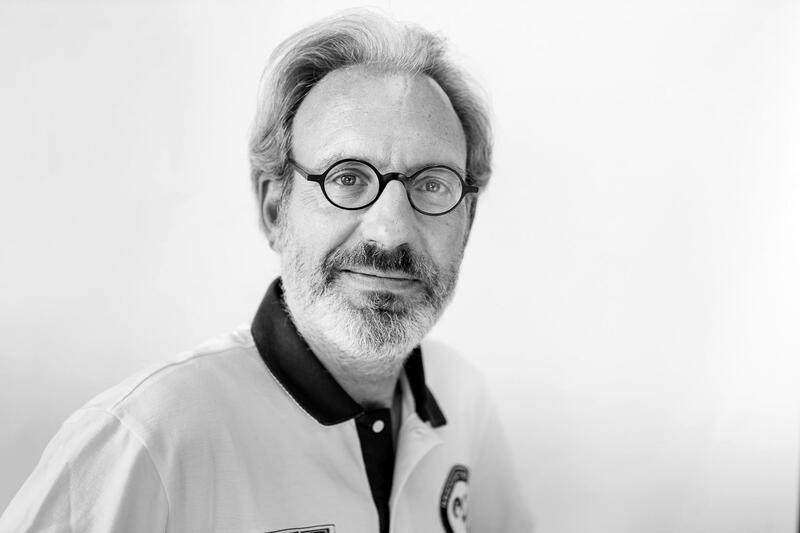 Having discovered the opportunities that digital technologies can now offer to the food industry, Camphuis has now immersed himself in the startup environment, where disruption is really happening, and is providing his expertise to help with their development through 33entrepreneurs. Find this article valuable? Help us continue bringing you the news, insights and community you depend on by making a small contribution. Learn more HERE. 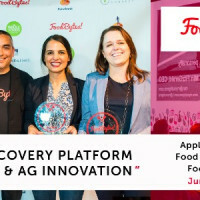 Food Tech & AgTech Startups – Last Week to Apply to Pitch at FoodBytes! NYC!